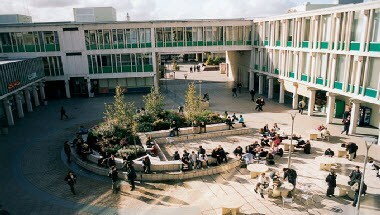 Conference Office is located at University of Essex, Colchester Campus. Located in 200 acres of parkland, on the outskirts of Colchester, the Colchester Campus is within easy reach of London by both road and rail. We can offer a range of accommodation, conference facilities and services to suit your budget and requirements. The Campus offers a vast selection of flexible meeting and conference rooms with capacities ranging from 15 to 84. Our lecture theatre building houses 9 tiered theatre style rooms, seating up to 560 in its largest, and a foyer area ideal for registration, catering and exhibitions. The building also includes two seminar rooms and a foyer area suitable for catering and delegate registration, making it an ideal venue for exhibitions and conferences.